I was never convinced as a child – no matter how many cans of spinach Popeye ate – that spinach in any form tasted good. But I had never tasted spinach the way the French cook it. I was at Le Foyer restaurant underneath the Madeleine Church recently when I first tasted creamed spinach, or épinards à la crème as the French say. 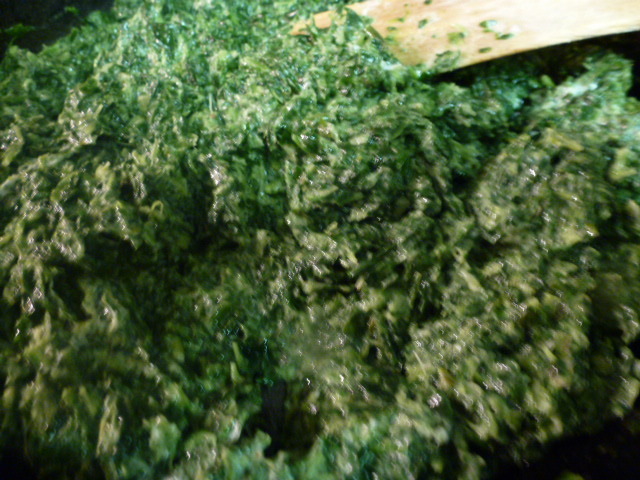 Drain the spinach – go ahead and put some muscle into it when you squeeze out the water. You don’t want soggy spinach. Over a low heat, melt the butter in a skillet. 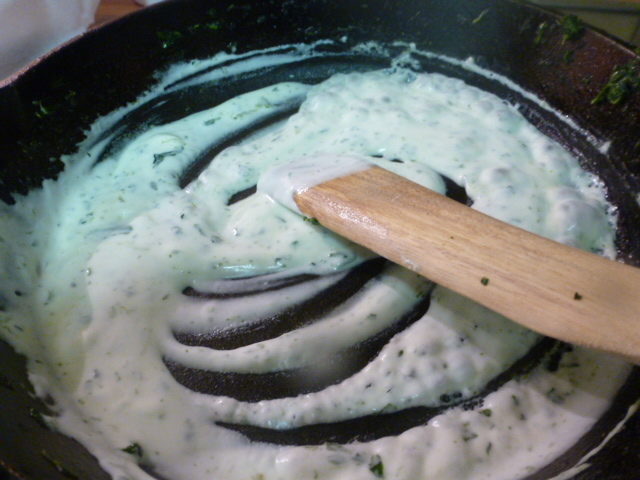 Add the drained spinach, half of the sour cream, the salt, pepper, and nutmeg. Sauté until thoroughly heated, 5-6 minutes. 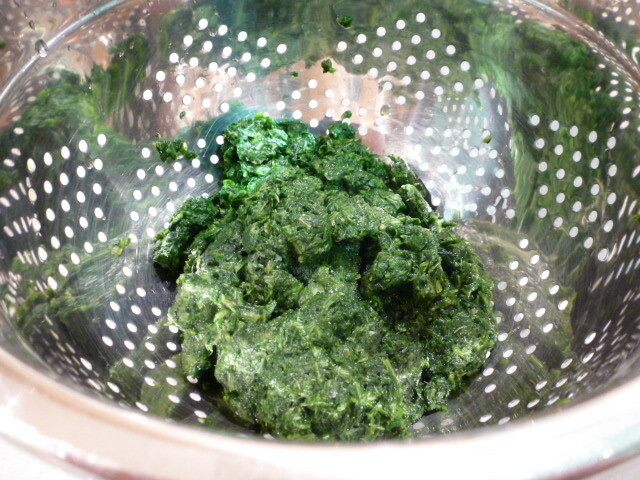 Pour the spinach into a bowl and set aside. Heat the remaining sour cream. 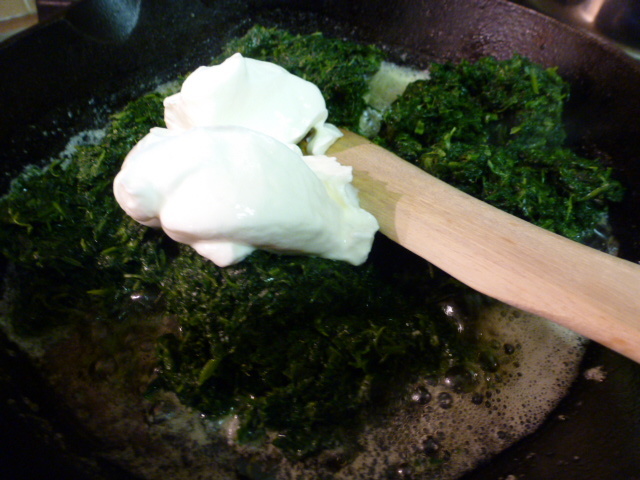 Pour the sour cream over the spinach. Voilà! 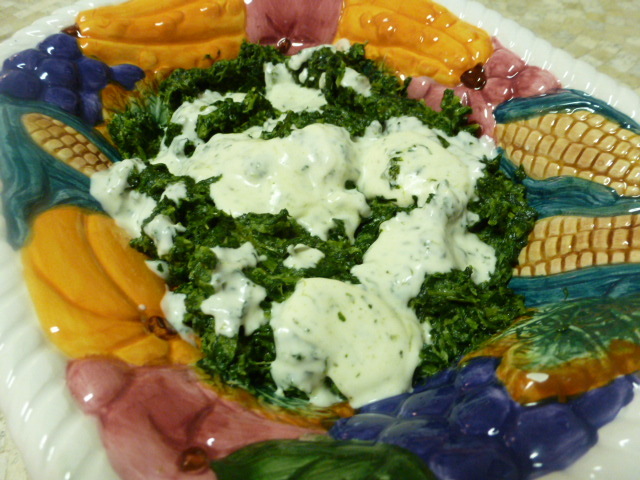 If I like this dish, anyone can love spinach.